Josh Meekings in action against his new club. 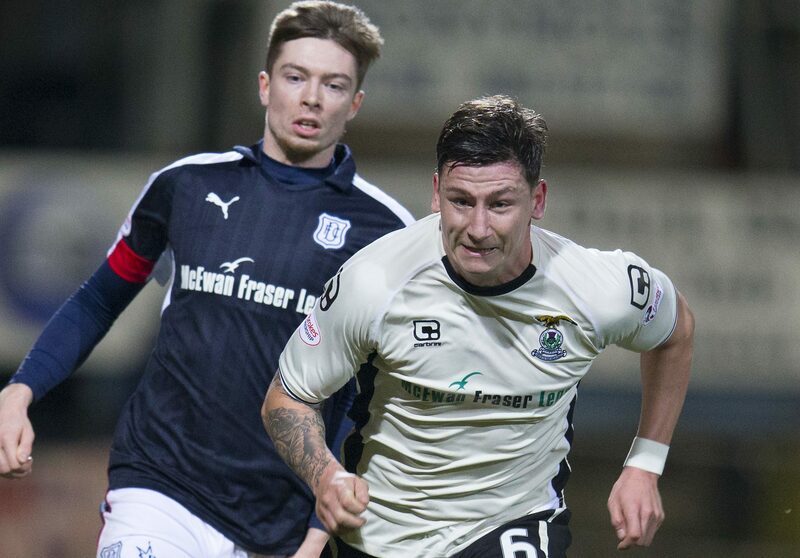 Dundee have confirmed the signing of Josh Meekings. The centre-back has been with the club for several weeks and, with Darren O’Dea ruled out for the next few games, Neil McCann has brought in the former Inverness Caley Thistle defender on a one-year deal. The 24-year-old spent six seasons with the Highlanders, playing over 150 times in the Premiership. Meekings’ contract has the option of a further year.